When you sit alone at night? And even berated my hubby dear. It’s only fair; after all he is my mate. I’m sure I speak for you. It’s Masonry that makes the man. I pray Masonic ideals keep him the way he is. Yours truly, a Mason’s wife. This particular poem from an Unknown Author really captured the emotions and thoughts of a Mason's wife. Now that my hubby is a Mason, I know that he will keep up with the high morals of the people in the organization. I have never been confident and assured since my husband was transformed from a good man to a better man. I just feel the need to share this weekend spoiler experience that our family had encountered on our way home. Every Sunday we make it appoint to visit MIL's place to eat lunch together with hubby's family. We normally stay there for about three to four hours at the most because we still need to do some last minute weekend errands. After the sumptuous lunch prepared by MIL ( we had grilled tilapia, green mangoes, shrimp paste and kids' favorite small clams with soup) and little chit-chat; we decided to go home. On our way home, hubby told me that we need to fill a little gas for the car to make sure that we make it home. Since he is the one driving, he chose to go to the nearest gas station. Unfortunately, this gas station was our weekend fun spoiler. After the gasoline boy filled up the tank, he handed to car key to hubby; and to our dismay the key was chipped at the end part. Hubby noticed it once he tried to put the key to start the car, the tip part of the key was missing! He went out of the car and asked what happen. The gasoline boy tried to act innocently but there is no other person to blame but him. We cannot leave the gas station because the key would no longer fit the hole. So we had to call my SIL to bring the spare key that she has. We waited for about one hour or so because of the negligence of the gasoline boy. Plus the fact that inside the key hole on the gas tank area is the tip of the damaged key. Hubby became really frustrated about the situation. It was such a waste of time and money too. We had no choice but to charge the gasoline boy about his negligence. Another frustrating fact is that our little boy saw heard his dad raised his voice. When hubby went inside the car after the discussion he had with the people at the gas station; our little boy asked him "Daddy bakit ka sumisigaw dun sa mga tao(Dad why are you shouting at them?)" His Dad explained that he was not shouting at them, he was just telling those people to efficiently do their task to avoid inconvenience. I also told our little boy that Daddy was not shouting at those people, he was merely asking them on what are they going to do with what happened. And told him that there is nothing to worry about, Daddy is not mad or anything. So many valuable lessons learned today, and hopefully this situation would not occur again. Our family had a great weekend until this incident. But then again we would not let our day get ruined by what happened. We can still do something fun to cover the not so good experience we had couple of hours ago. I am not really a fan of Koreanovelas, but whenever I see a good one; I would definitely watch it from start to finish. I am currently hooked with the new Koreanovela of GMA 7 entitled the Baker King. The plot is quite simple, the lead character Kim Tak Gu is the illegitimate son of the Chairman of the biggest bread factory. But since he is the first male child, he is suppose to inherit the businesses based on their traditions. Of course the legal wife would not agree with it, thus she would do everything to make Kim Tak Gu's life as miserable as hell (this is with the help of Manager Han, her lover). The Chairman has another son named Matthew Gu (actually he is the son of Manager Han and the chairman's wife). Matthew would strive to be the best baker because Kim Tak Gu inherit the talent about baking from the Chairman. The story would revolve around bread, the struggle for love and attention and lastly the fulfillment of one's dream to be the baker king. As the main character Kim Tak Gu faces so many challenges and trials, eventually he will try to rebuild his life by becoming the baker king. You may want to check out this Koreanovela and you would surely love Kim Tak Gu's character. There are so many things to learn about the characters in the show. Aside from that, watching the Baker King makes waiting time until hubby gets home less boring. Kids and adults can catch cold viruses anytime; and it could be really difficult for Moms to pacify a child who caught the virus. Plus the fact that once the cold virus hit the immune system; cough problems are sure to follow. Right now two of my kids caught the unpleasant cold virus and both of them have cough too (they love to eat cold foods and sometimes they munch on ice cubes!). Rest. It is very important that kids (and adults) get enough rest to restore energy that could help boost the immune system. Blow your nose. Little kids do not know how to blow the nose the right way; teach our kids how to blow their nose rather than sniff the mucus back into the head. Encourage them to gargle. Coughing may cause sore throat so to moisten the throat, gargling is important. Drink hot liquids could prevent dehydration and would help flush out toxins inside the body. In would also soothe the lining of the membranes of the nose and throat. Metholated salve can help clear the nose passage, dab a small amount of it under the nose to open the breathing passage. The kids behavior could be very irritating when they are sick, so remember to extend your patience. 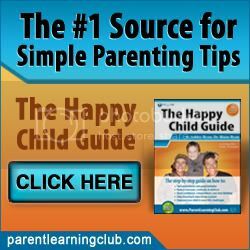 Tender loving care is what the kids need when they are sick and not a nagging Mom. Always remember that when the kids are having difficulty in breathing, visit their Pediatrician for the proper medication. 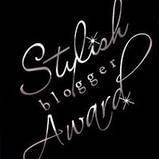 I would like to thank carinamodella for tagging me this Stylish Blogger Award. It is my first ever award as a blogger, I hope to receive more. LOL. Thank and link back the person who gave you this award. Ever since I was young, I am fond of writing my thoughts, feelings and sentiments. I am a hopeless romantic and I have so much love to give. I am generous but I hate being forced to give; I know my responsibilities and would not need to be reminded about it. I value my family more than anything in this world. "Andy is now 17 years old and packing for college, and his toys who have not been played with in years feel forgotten and abandoned. 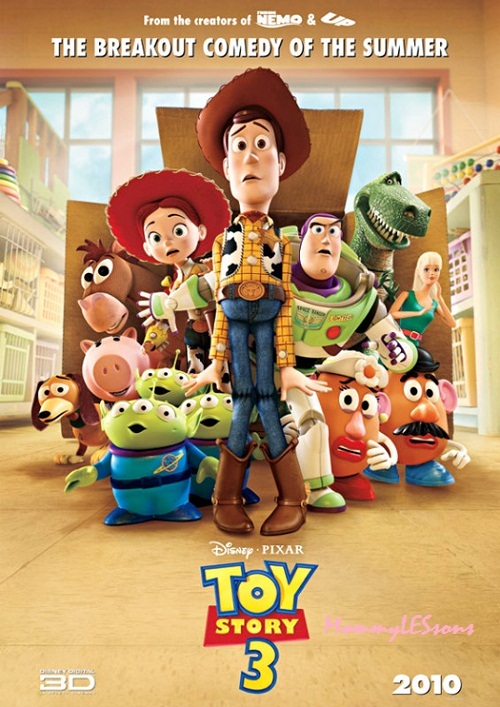 Andy decides to take Woody with him to college and intends to store the other toys in the attic. By accident, Andy's mom throws the other toys away, making them think they are no longer wanted; they escape and decide to climb in a box to be donated to the Sunnyside Daycare. Woody, the only toy who saw what really happened, is forced to follow the others and tries to explain they were thrown out by mistake, but they refuse to listen." The toys adventure began and they met a lot of new toys and their new owner too. It was a heart-warming film and surely family would definitely enjoy watching it. 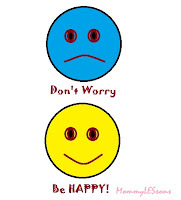 For mommies, it is quite difficult to follow Bob Marley's advice: "Don't Worry, Be Happy". With crimes happening here, there and everywhere; we cannot help but worry about the safety of our children whenever they are not within the range of our watchful eyes. Aside from the crimes that are happening around, mommies also tend to be troubled about what lies ahead. Admittedly, we agonize too much about the future, when in fact we should deal on what is present. We begin to freak out whenever our savings go down the drain. We fret about the family’s finances; we are so concerned about raising our kids, we lose sleep thinking about our relationship with our partners and there are so many things that we are actually afraid of, when in fact we shouldn’t. So the next time your heart is troubled, remember these words. Keep in mind that everything will happen in God’s perfect time, seldom early but never too late. I am in search of a baby girl name, oops! it's not for my future baby; it is for cousin's future daughter. She is due this coming April and we are searching and researching for the right name for their baby girl. There were so many suggestions and we have read baby names books and checked the internet for the perfect name for the baby. 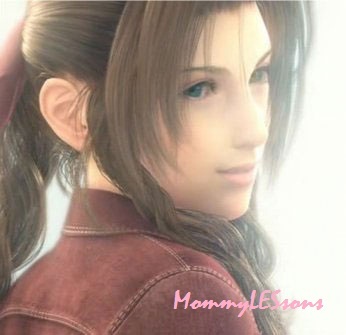 They have a name in mind, and it is Aerith, however they are still undecided whether to use it as a first name or middle name of the baby. The name was derived from the female character of the Final Fantasy. There are so many reasons why parent decide on a particular name for their children. Others would follow the name of their child with their names; in the old generation names are followed on the name of the saints on the date their children were born. Now, there are parents who named their children after the famous personalities. As for my kids, I chose the name that would suit their last names. I think it is quite awkward to name a child with a foreign sounding name but the last name is so Filipino. But then again, to each his own. I hope you can give us ideas on what could be the best name to pair with AERITH; it would be very much appreciated by our family. I have started this blog March 2008 under the blog title "Maskinanu", but I half-heartedly update it. 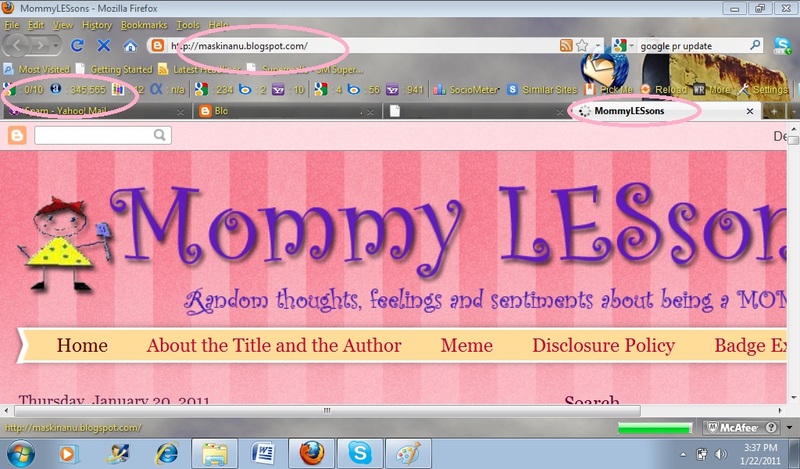 Finally, this blog was resurrected last September 2010 carrying a new blog title "MommyLESsons". Since then, I have been trying my best to keep the blog updated, I also started to join memes and advertise in order to gain more traffic for the site. After a couple of months of serious blogging, I have seen fruits of my hardwork. First, was my Alexa points improved a lot, it is now at 345K. 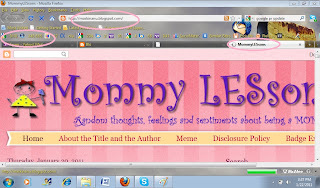 And now, when Google made a Page Rank update this month of 2011; MommyLESsons (maskinanu.blogspot.com) no longer shows N/A , it is now at PR0. Hopefully, the next time Google would update Page Rank ; I would see more improvements. So far, so good; I think I am on the right track. Business Card, a Status Symbol? Is a business card considered a status symbol? Is is a subtle way of bragging one's achievements? My boss and I were talking yesterday regarding the work title versus your real passion. It is not enough that you earn the title but your should be passionate with what you do. Then that is the only time that you can say that you are proud with what you do. I don't work as in the traditional work of going to the office or the field to do my job, I work at home. I can have customized business cards made to hand out to friends whenever we meet. But I opted not too. In case someday I would decide to have a customized business card, I wonder what design should I use. Would I carry my blog badge? Do I need to include in the card the company name of my full-time online work? Since my blog badge is a drawing of a little girl, would it look like a professional business card or a party invitation? LOL. Maybe I should try to check out for serious designs, like that of the spiritualbusinesscards But then again, maybe not! My business card would definitely include my blog badge, because little by little I am becoming more passionate about improving and enhancing my skills, so I can call myself a "blogger". Am I right boss Fedhz? Change is the only thing that is constant in this world. Small changes in our lives can brought about bigger, better and happier life. Change can also help eliminate the boredom of living the same life that we have for many years. Change can create a better lifestyle than what we have right now. Be forgiving of yourself, remember that we are human beings and we are prone to make mistakes. If you made a mistake, learn to accept it and try to do the right thing next time. Do not punish yourself because of the mistake that you have committed. We tend to do things on autopilot. We follow almost the same routine everyday of our lives. Why not try to integrate something new, in order to attract the things that we want to achieve in life? Habits are powerful, thus it defines our character and personality. Get out of your comfort zone and start doing new things that will improve you as a person. 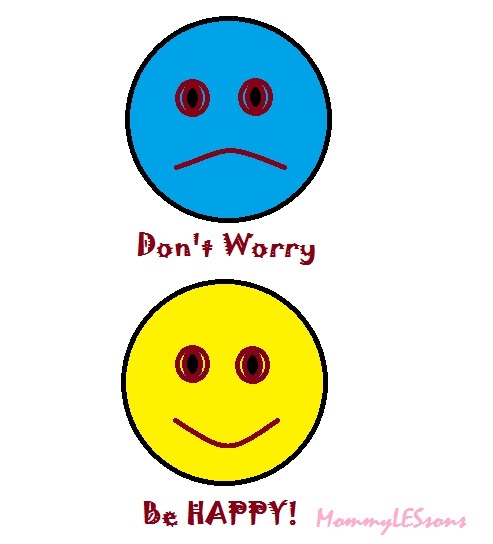 Find joy even in the simplest thing that you do or have. Even bad experiences can turn into good ones depending on how we view it. Problems should be viewed as opportunities; the more problems you have the better opportunities you have too. These opportunities can change your life in the most unexpected way. Learn to love unconditionally; selfless love is the most important thing we can give to others. It is easier said than done, but we can always try to do it until we are able to achieve it. We are the captain of our own ship and the master of our own fate. Every decision we make will affect our lives in one way or the other. If we are tired of the life that we have right now, we have the power to change it. We have the power to create a better lifestyle if we start acting on it. Hubby and I were talking about our financial budget in order not to miss any payments for our housing loan. Since he started working regularly four years ago, I suggested that he try to apply for the social security system salary loan. He is already qualified for the loan because he already had more than 36 months contribution. Yesterday, he inquired about it in their Human Resource department. I was asking him the details, what he did was to send me an email to check it out myself because he hates reading instructions. But I was too lazy to check it aside from that the file was in PDF format. I still need to download and install PDF Viewer in order to read the information. I was too busy to do it yesterday, and I hope to find time to download the forms today. So the office can immediately process the loan. Talk about being a wife and the secretary too! I guess I have no choice but to do it because hubby would not bother to do it himself. He really hates filling out forms and reading instructions. To be able to build your dream house is definitely a big achievement. 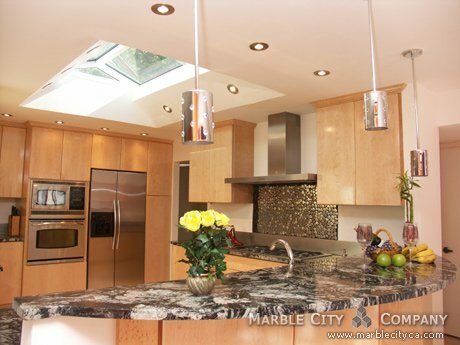 A dream house would not be complete without the help of Marble City. The company provides all the marble needs from counter top, to walls and even for the house flooring. Those in the Bay area are fortunate to have Marble City nearby; all slabs provided by the company are imported from all over the world and is of highest quality. 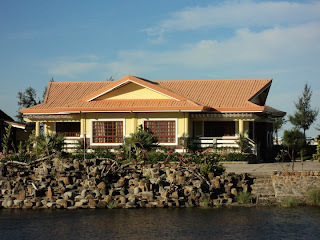 The designs are fantastic and definitely up to date because they have an excellent team of professional designers that would help achieve the looks that you want your dream house to have. Clients are assured of on time delivery and excellent results on all their works. The clients opinions and feedback are very important, Marble City's goal is to provide the best service possible. Family is the basic unit of the society, and it is very important that parents and children have harmonious relationship in order to become better citizens of a nation. In these times when men and women to work for living, young children are often left at home with a nanny or a nursery, while older spend all day at school. Most times, parents have enough time to spare to put their children only at night. Sometimes not even have time to talk about their individual lives let alone spend a day of fun together. Small talk, small gestures of comfort, little things we do every day if they are for an hour or enough for a few minutes, especially when done with sincerity and commitment to strengthening and developing links with their children. There are so many good things to give a child a hug. According to research, touch therapy is very effective in building relationships with families, especially in building ties between parents and children. This is a good way to express your love and concern for children. In addition to hugs, kisses and pats on the small shoulders are also important in building relationships. Despite the busy schedule, make an effort to be present when time is short. The weekend with the family once a month can do wonders in strengthening family ties closer. 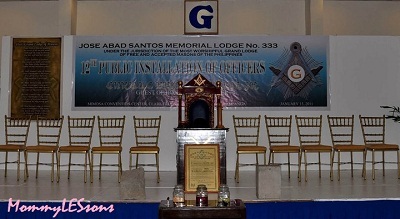 Last January 15, 2011 was the 12th Public Installation of Officers of JASML 333 under the jurisdiction of the Most Worshipful Grand Lodge of the Free and Accepted Masons of the Philippines; it was my first time to witness such ceremony since my hubby became a better man. His brethren trusted him with the position of being the lodge secretary. I was so proud of hubby on how he won the hearts and trust of his fellow FreeMasons. Hubby and I made it appoint that the kids will be able to witness the ceremony too. Some people may have different concept or image about Freemasonry. But what I see are group of men whose aim is to help the society and making good men even better. This week's theme for TCP is Surprisingly Nice! ; I am not much of a fan regarding movies about cars. But since hubby love to watch such movie genre, I had no choice but to watch it. Few weeks ago, we had a movie marathon of the Fast and the Furious movies (that is 1-4). Normally, I would dose off to sleep whenever I watch DVD movies; surprisingly I was wide awake until we have finished all four movies. The movie was filled with excitement and thrill, I am sure it would somehow equate to the feelings of a person watching the Monaco Grand Prix I am quite amazed and awed how men and even women can drive cars so fast and yet so smooth. I like about the movie aside from the plot, are the beautiful and customized cars. I would wish to have one of my own; on second thought, I think I should learn how to drive first and get my driver's license. Pretty soon, the producers of the movie would come up with its 5th installment. I am looking forward to watching it too. 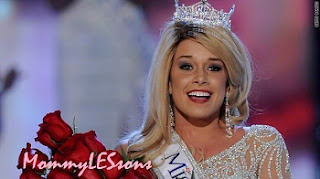 The recent winner of the Miss America 2011 is the youngest among its title holders since the rules of the beauty pageant changed in 1993. However, before the rules were changed there was already a 15 year-old Miss America in 1933. The 17 year-old Miss America was born in Nebraska, Teresa Scanlan is a student of Scottsbluff High School and dreams to become a politician someday. I am not really a fan of beauty pageant, although I had experienced joining one when I was in college (I had no choice-it was my professor who asked me to join). If I had to choose between watching beauty pageants and surfing on bingo sites, I would definitely choose the latter. I have more to gain if I try to play games on these sites rather than watch beauty girls walk around the stage and being judged because of their beauty. I have nothing against women joining such contests, in fact I admire their courage in facing the crowd. But it is definitely not my cup of tea. I would rather spend my time taking my chances on gaming sites than bore myself to death watching the parade of beauties. How do you view beauty pageants? Would you dream of having a child as a beauty queen? The Sinulog Festival and the Feast of Sto. 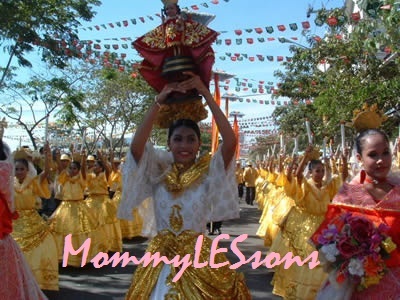 Nino are two of the grandest events in the Philippines. These festivities are observed every third Sunday of the first month of the year. The Sinulog Festival is actually in line with the celebration of the Feast of Sto. Nino. 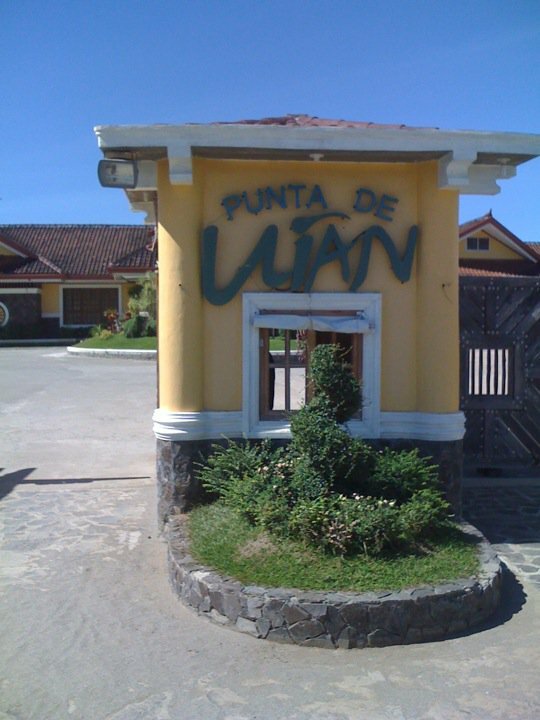 It is an event held in Cebu and a lot of people would come and visit the place in order to celebrate it. The Philippines is the only Catholic country in Asia, and the devotion of the Filipinos to Sto. Nino can be traced back during the Spanish era. Devout Catholics would celebrate this event to thank Sto. Nino for the answered prayers. The Sinulog Festival on the other hand, would include street-dancing, colorful parades and all sort of festive celebration to give honor to Sto. Nino. In other parts of the country such as Kalibo, Aklan there is also a festival in line with honoring Sto. Nino and it is known as the Ati-atihan festival. True indeed, there are so many festivities to celebrate here in the Philippines. These events help in the promotion of tourism in our country. I have not participated yet in Sinulog Festival, but I am hoping that in the near future I would be able to experience how our fellow Filipinos particularly the Cebuanos celebrate such wonderful and colorful event. Happy fiesta to all those celebrating the feast of Sto. Nino. Do you know what is your new zodiac sign now? What used to be just 12 zodiac signs is now changed to 13 zodiac signs. 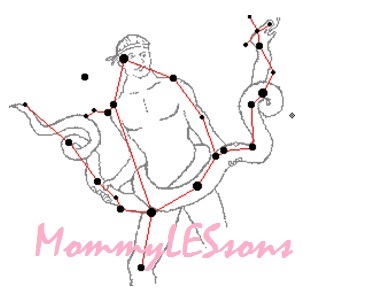 It is said the Ophiucus is the new zodiac sign; according to astronomers this is because of the change in the alignment of stars. So it means that the sign that you were born in , is actually different from what you have been used to for your entire life. So, what is your new zodiac sign for 2011? If you check out your horoscope from time to time, would you still check the "old" zodiac sign or you will follow the new one? In the advent of digital cameras, most photos are either stored in the computer hard drive, burned on DVD's or left at the flash drives. 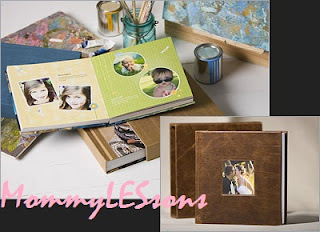 Gone are the days when we need to get photo film developed and compile it neatly in a scrapbook or photo albums. Although photoprinting can be done in our own printer; still most mommies are having a hard time doing so. I have seen several photo printing services in the internet. What captured my attention are the beautiful designs of photo books. Hopefully I would be able to have our tons of photos printed, so that we can show it off to our friends even without bringing our laptop with us. PNoy's Porsche stirred a lot of controversies amongst Filipino people. Some people deemed it to be very untimely because of the upcoming fare hikes in LRT/MRT and buses too; aside from that the taxi flag down rate increase has already been approved. 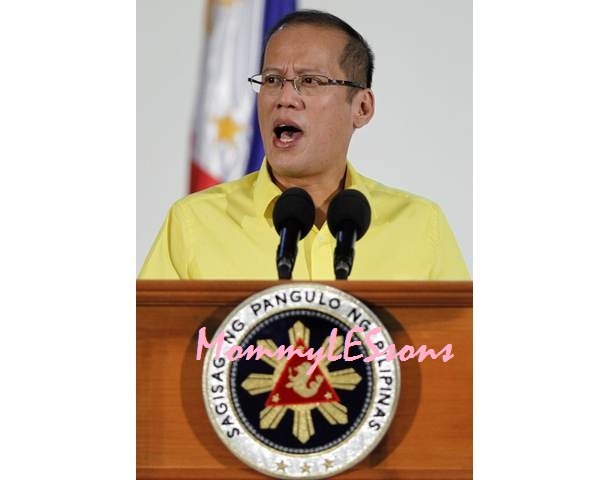 Group leaders from various sectors of the society call PNoy insensitve for making such decision. My two-cents on this issue is that our president did not use the government money to buy himself his Porsche. According to reports he sold his recently "fully paid" BMW to get himself his new toy car. In fact, he is the third owner of the Porsche that he bought. 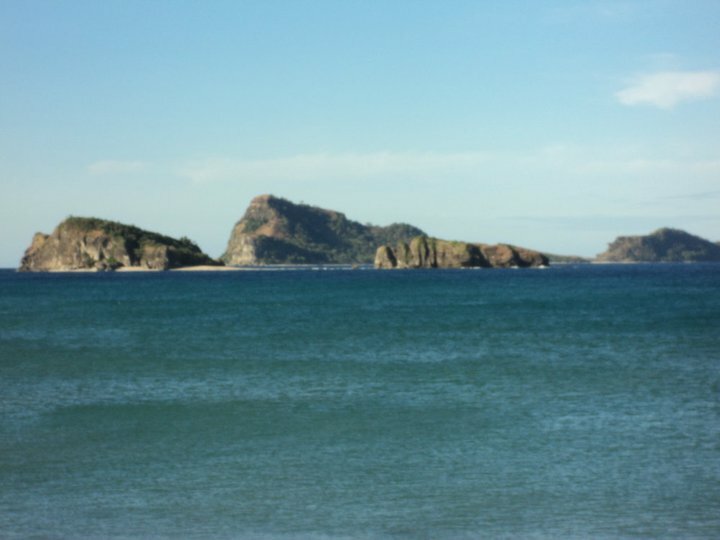 He bought is at the price of whooping 4.5Million pesos. It could be very untimely for him to buy a luxury car. A lot of affluent people can buy luxury car anytime they want, so why not spare the good ol' bachelor president. It was his own money that he used to buy the Porsche, I think that alone is fair enough. True enough that austerity measures should be observed by the government since they are using the government funds. But this guy is using his hard-earned money to get what he wanted, so let him be. At least he is not hiding it from the people, he is very transparent about it. What can you say about PNoy's Porsche? 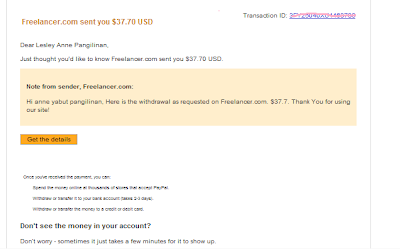 I totally forgot about the request for withdraw from my earnings at Freelancer.com; today I received the payment at my Paypal account. I am quite happy with my online work; no time pressure involved. But it can be addicting most especially if you see fruits of your hard work. As a Mom, I prefer to have SUV rather than Sedan. Well, bigger vehicle makes me feel more secured and safe. 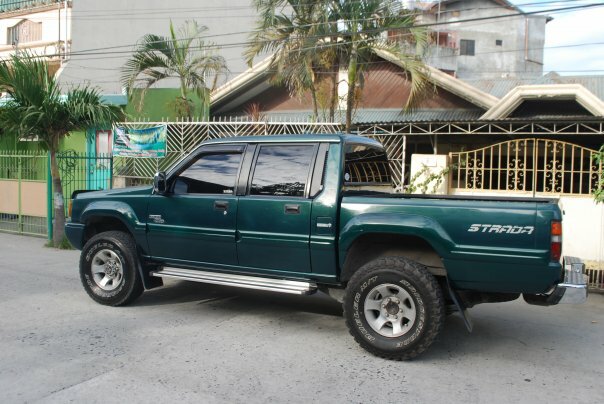 My hubby's family used to own a 1995 4x4 Mitsubishi Strada and he was the unofficial driver of the family. 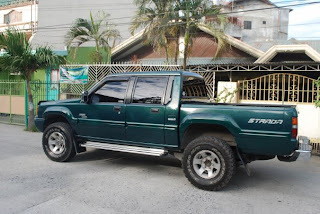 My hubby named the SUV "Erap"; which is the name of the former Philippine President Erap Estrada. Since my hubby is very OC with many things; he takes care of the truck as if it was his own. Actually, we were the unofficial (again) people assigned to shoulder its maintenance. Oh my! it was really expensive to maintain such kind of vehicle. We don't mind spending for it as long as we see that whoever in the family drives it would take care of it as much as we do. 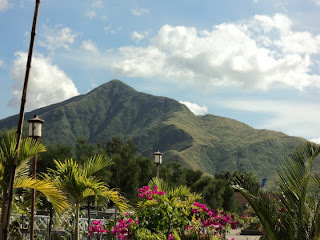 The SUV is often used to go to their place which is uphill in Subic Zambales. They visit the place to gather mangoes and yams, all we need to do is to place the stuff at the cargo trailer of the SUV and then use beam clamps with straps to secure everything. Since the SUV was not ours, we cannot do anything about it when their family decided to sell the truck. 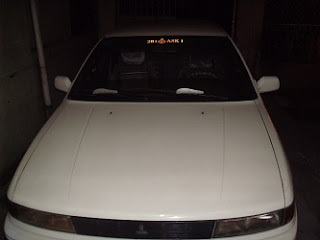 In replacement of the SUV, a white sedan was bought (another Mitsubishi). It is an old model but well maintained and has low mileage. But unlike the SUV, we can no longer use the sedan to do uphill drive. Plus the fact that it has limited space compared to SUV. We miss the old Strada truck but somehow we are beginning to enjoy the little white sedan that hubby drives. For me it is our lucky charm, since we bought the car ; we have been receiving abundant blessings. I would still love to get an SUV, but since we cannot afford it as of the moment I guess we can always depend on our sedan which we fondly call "Puti" or white in English. 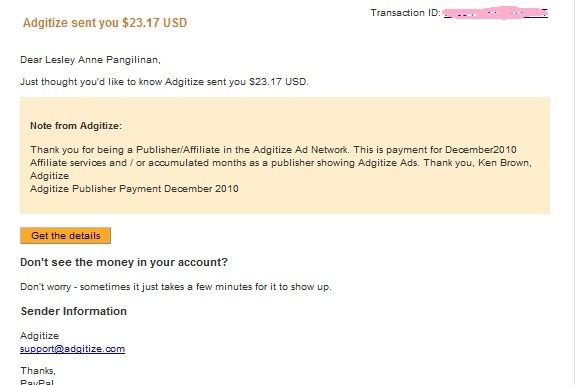 I was so surprised when I saw the email of Adgitize; I thought it has something to do with my advertisement with them. 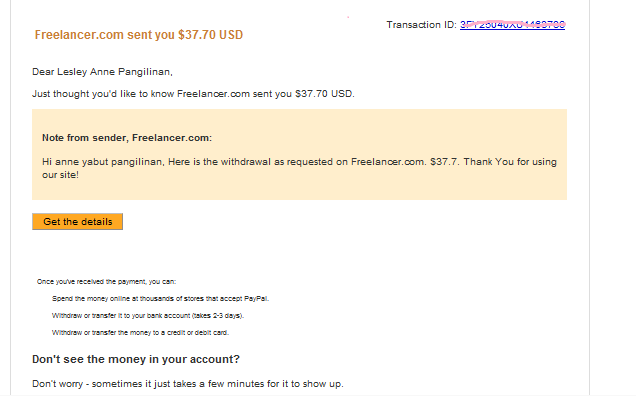 But when I opened the email, it was my first payment from being an Adgitize advertiser. I invested $14 for 30 days advertising; I earned $19 for the month plus the $4 from my November earnings. It was like hitting two birds with one stone, I earn money and at the same time gained more visitors for my blog too. 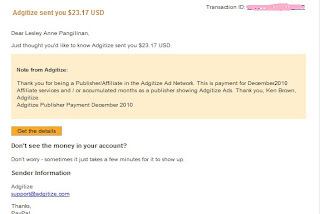 So if you have not advertise yet with Adgitize, maybe it is time start your ads with them and see the effects. Good thing Adgitize has the option of paying through Paypal instead of sending out company checks like what others do. It would be a big hassle for me because I do not have any valid IDs at all. I am too lazy to get new ones because I lost my previous IDs. When we went to Mariott Hotel yesterday, I really envy the room; it was then I realized that I need to de-clutter our bedroom. My hubby and I share the bedroom with our youngest son; so our room has little toys too. For a couple of months, we did not place a television inside our bedroom. My reason, it is a place to relax and not to watch TV. But later on, I gave in to my little son's request to have a TV in our room. Going back to de-cluttering our bedroom, I checked our closet and I need to remove clothes which were stuck in there for a couple of months. Then, I saw my collections of bags- oh my! some of them needs a little cleaning and store them properly. I guess I need to exert extra effort to make our room look more like a bedroom rather than playroom and entertainment. Hopefully I would be able to maintain the cleanliness of our bedroom so it will be a relaxing place for me and hubby. I was doing my daily blog hopping and I came across several blog posts about the earnings they had from their blogs and their online jobs. As a SAHM, it was quite important for me to help my husband get additional income for the family. 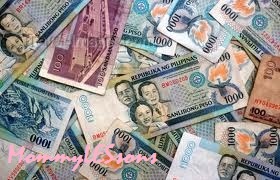 I was very fortunate to have met good people who trusted my knowledge and skills and helped me have my own online job earnings. I started writing for a common friend and we had a good start but then later on things have changed. Anywayz, I think it was a blessing in disguise because I was introduced to Fedhz (of the famous Fedhz Polvoron and Home Buddies). She later on introduced me to other Marces (I bet most mommy bloggers in the Philippines would know them) like Jade of the Pinayblogger ; and they were kind enough to hire me for several writing projects. I made a list of the earnings I made for 2010. I started writing last March 2010 and luckily up to present. I never thought I made this much; I wonder where did I spend all these earnings. Lol. We are talking US dollars here..whoa! So roughly I made around a whooping $2000; oh my! where is that money now? My earnings is definitely not bad for a beginner like me. I am looking forward to a fruitful year and hopefully get an increase in my full time job soon. I hope I get to inspire Mommies out there, to work even if they are at home. We have seen a lot of things being personalized; from tshirts to mugs and lately I have seen a lot of company checks being personalized too. 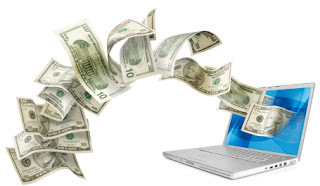 Before only personal checking accounts utilize personalized checks; lately more and more company would like to see their business logos on this very important transaction note of their business. Here in our country, Philippines, personalized checks are not really that accepted yet. 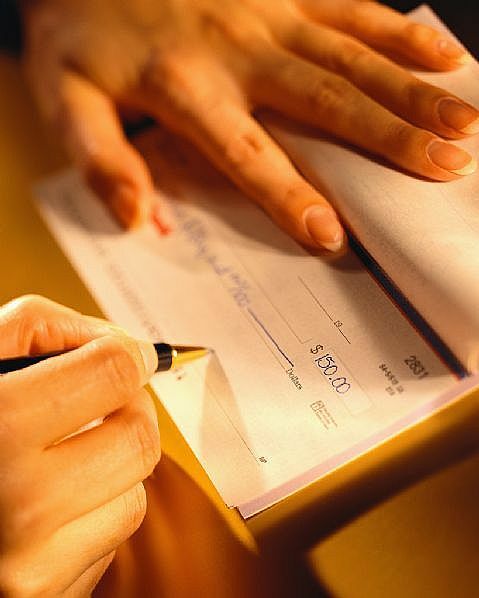 What people normally use are the checks issued by banks. How I wish I could have my own personalized check, I think it would be great to use a check with a very nice design. The designs are far much better than the boring check designs that are issued to us by banks. I would love to put our family picture on the check to constantly remind me that I should save up for the future. Or the photo of my favorite actor or actress would be great design too. I am definitely sure my kids would love to see their favorite cartoon character printed on the check; hmm, not really a good idea – they might think that the checks are stationeries that they can draw on. What about you, what could be your design for your personalized check? The year 2010 marked so many big leaps in my life. 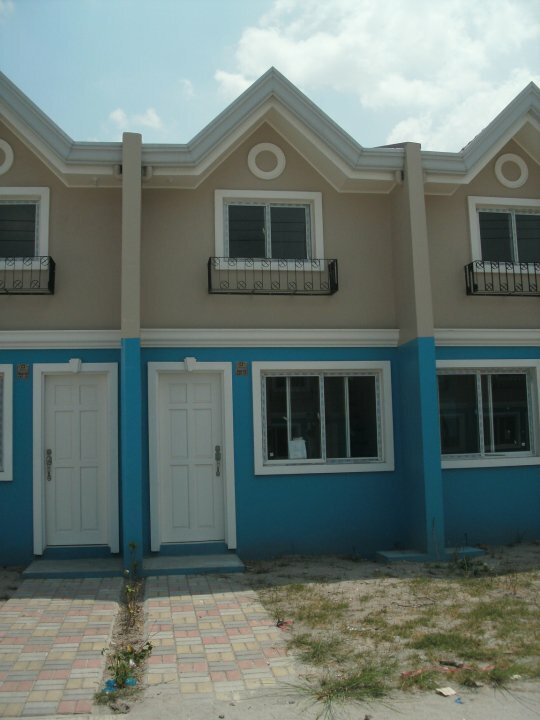 Early part of 2010, my hubby and I decided to apply for a housing loan so we can start building our dreams in our own home. Fortunately, when I opened the idea to my parents they were supportive about it. They have helped me out pay the initial down payment needed for the house. At the start of the school year, my youngest son entered pre-school and my two other kids have to move to a new school. 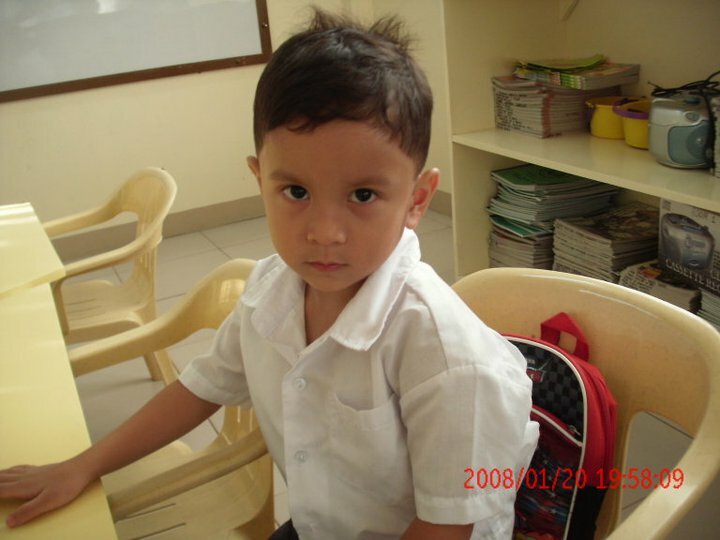 This time around I didn't have to worry about their tuition fee and books; the school was free inside our community. Although it is considered as public school, the facilities and amenities are at par with private schools. So it was less stressful for hubby and me too. The year 2010 was also the year when I started to work online. We have established our own business, an internet shop; but we have to give it up because we need to transfer to our new home. Good thing I was able to meet new friends in the internet who have helped me get job online. A turning point in my life came when my boss told me that I was hired as a full-time writer. I would be receiving good compensation without leaving the comfort of our home. I would be able to manage our household and work at the same time. Now, I want to believe that I am slowly learning the ropes of SEO and hopefully, this year would be fruitful too. I have started 2 blogs too last 2010; Brewed.Fried.Toasted. 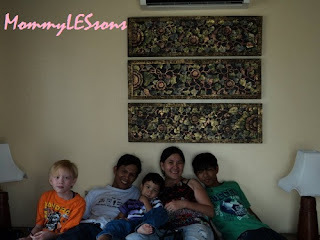 and MommyLESsons plus I am also helping out hubby maintain his blog POV of an Engineer . So far, I have gained followers in this blog (MommyLESsons). The best thing that I am very thankful for is my family. I have never been so happy and contented in my entire life. 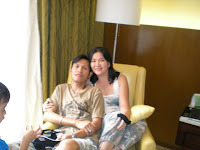 I would forever be thankful to my hubby (DadEngr Joey) for being the best hubby and dad. We had gone through a series of trials and challenges; but we have managed to go through it. 2011 is another year to look forward too. I know that God has so many wonderful plans for me and my family. I have surrendered everything to Him and let Him steer my life to the directions He wanted to. 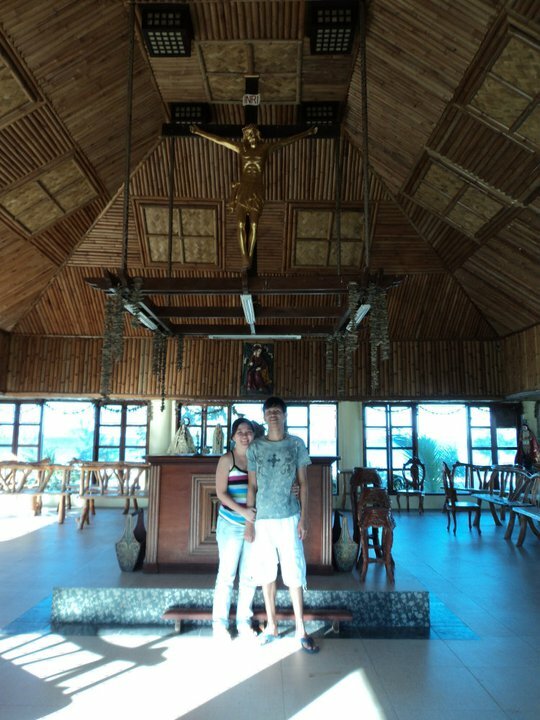 I would have less fears and worries this 2011 because I am in good hands with my Saviour. In three months from now, school year is about to end and I am thinking on how to make this summer productive for my kids. I want to engage them in sports so they could learn how to discipline themselves. Who knows my youngest son who is fond of playing basketball may have the chance to make it in Boston College Eagles. My eldest son Jet loves swimming; in fact he can spend the entire day without getting tired of swimming. He loves to swim whether in the pool water or beach. He does not care if he turns really tan because of swimming. On the other hand, I think Gabby should be enrolled in self-defense school like Taekwondo. I want them to learn sportsmanship at early age; and I would like them to taste the bitterness of losing a game and the sweet victory too. 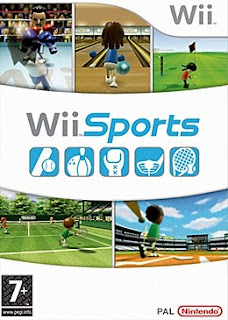 Although it's still a couple of months away from summer vacation; I think I should start saving up for their enrollment in summer sports camp. For the meantime, they can practice using Wii sports to enhance their talents. 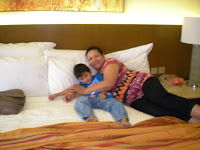 How about you mommy bloggers; have you made plans for the kids this coming summer? The place has breathtaking views and the amenities are excellent. 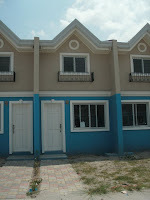 We stayed in a duplex with two bedrooms, 2 T&B, living room, kitchen and dining room. 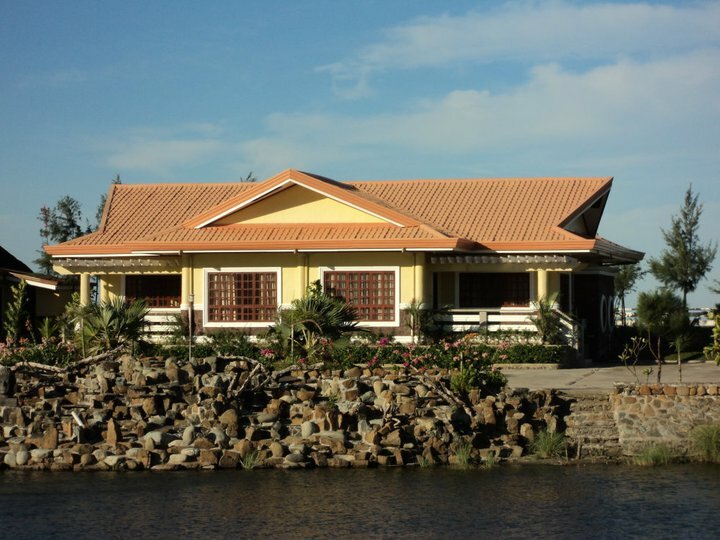 They also have Chapel, playground and villas by the lagoon area. 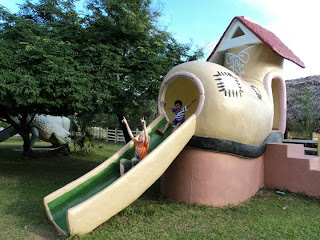 The kids really enjoyed the place, they ran around the playground there were only few people checked in. So it seems like we rented the entire place for ourselves. 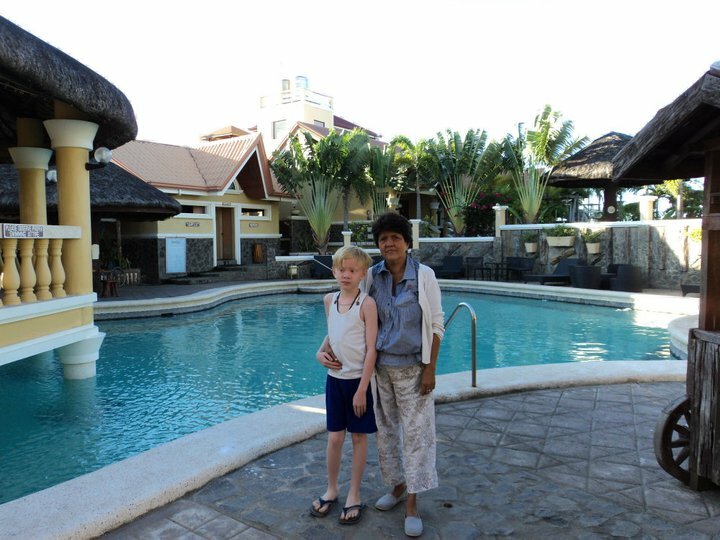 Of course, the resort would not be complete without the beach and the swimming pool. My eldest son Jet really enjoyed frolicking on the sea. But we did not take a dip at the pool; because we were just so excited enjoying the big waves. It was one beautiful New Year celebration that my kids and the entire family would not forget. Although our stay at the resort was quite short because work and school days are about to begin, it was unforgettable. Some family members were not able to come along due to unforeseen circumstances; but there will always be next time. To all mommy bloggers and my blog visitors out there, how did you celebrate your new year?